Fully assembled, ready to go. 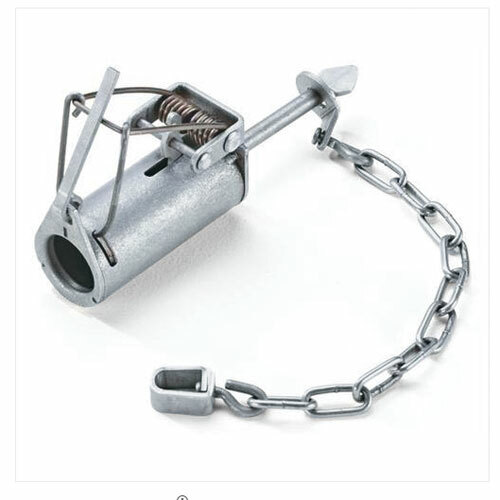 Durable, heavy-weight glvanized steel. 17" x 25" x 55". Safe and humane catch and release. Smoothed internal edges protect and prevent injuries to animals. 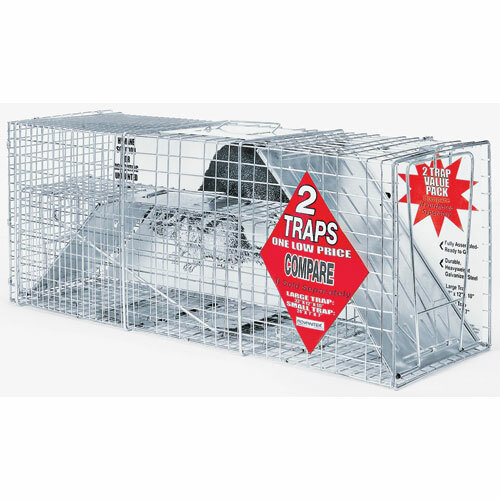 Medium trap measures 12" x 10" x 32". 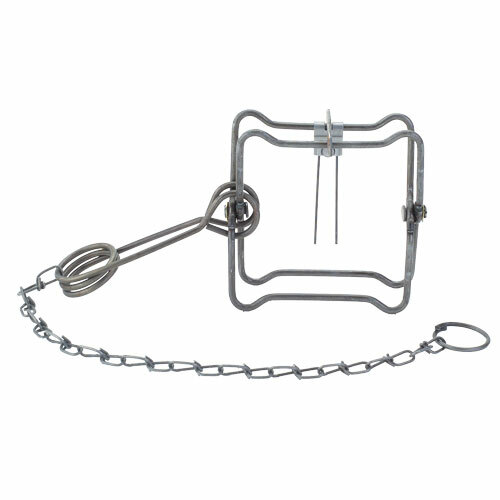 Small trap measures 7" x 7" x 24". 2 pk. Foot-hold restraining device. Cost effective and efficient tool for managing wildlife populations. Manufactured of steel components and powered by a set of compact coil springs. 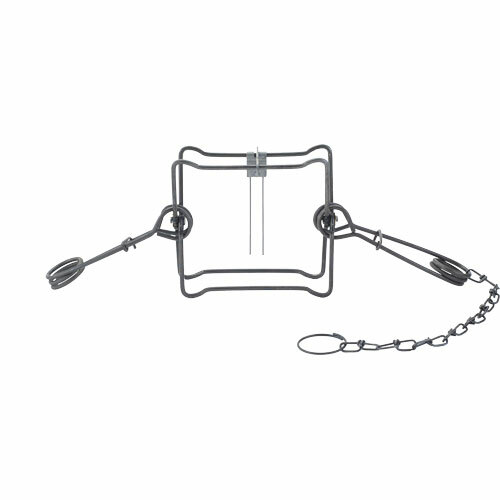 Features a 4.75" jaw spread for catching fox, mink, nutria and raccoon. Lightweight and compact. Triggers from any direction. For mink, muskrat and weasels. Lightwight Compact. Body gripping. 4-way trigger. For badger, beaver, fisher, marten, nutria, opossum, otter, raccoon and skunk. 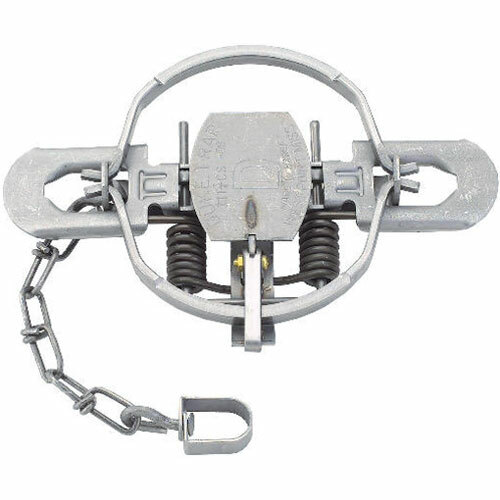 Coil spring trap has a 5.25 jaw spread and is used for Bobcat, Coyote, Fox, and Raccoon. 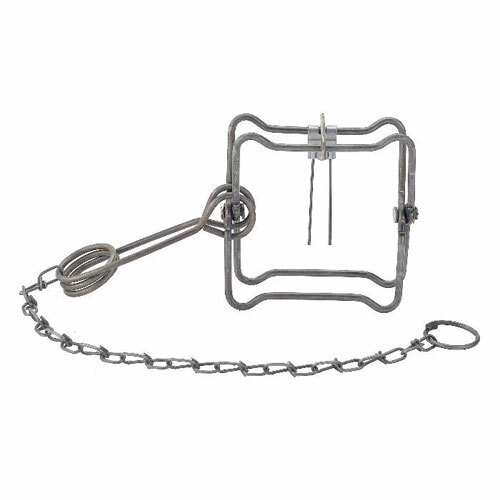 Body Gripper Trap Body Gripper Trap Jaw Spread 4.5" x 4.5" for Mink, Muskrat and Weasel. 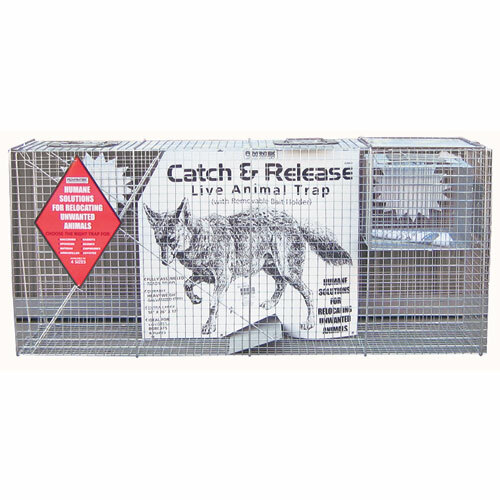 Features: Effective raccoon trap that won't accidentally catch a friendly pet. Fully enclosed design. 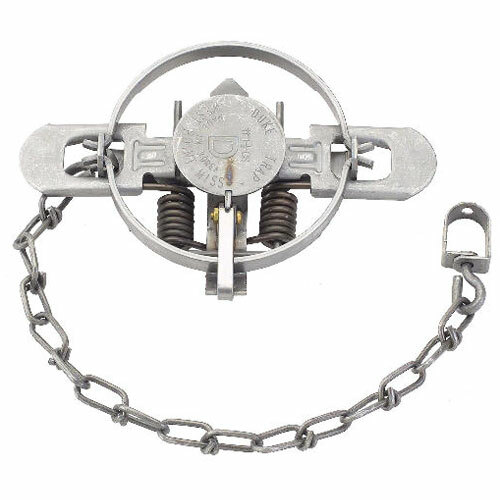 Powerful coil spring trap with enclosed trigger system. Built-in staking system. 12 pk.